Web App or API—Which One is Right for Me? Set up an account in 5 minutes or less. Then, you can instantly print shipping labels for USPS, DHL, and more. You can also connect with more carriers, integrate with e-commerce platforms, and customize the experience for your business. Developers can easily use the powerful Shippo API to customize and automate your shipping processes to meet your business’ needs. 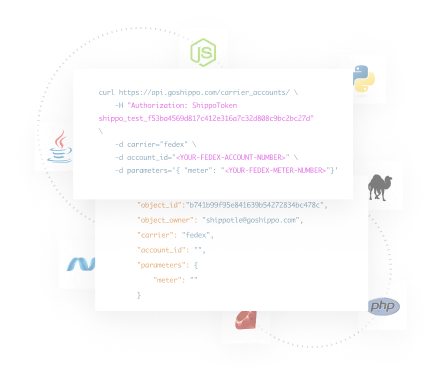 Shippo lets you integrate with multiple carriers through one API, and it’s easy to implement with step-by-step sample code, pre-built client libraries, and test keys. The Shippo web app is built on our API, so you get access to the same features that API users get. Our API tends to be more customizable and can provide a highly-automated shipping experience. You can set up a free account to experience it for yourself. Use this guide to create your first shipment. 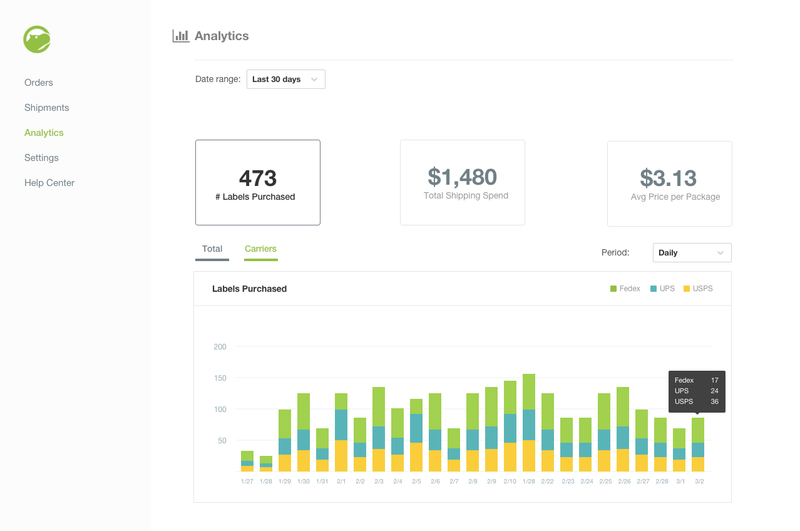 "We were able to integrate Shippo API into our app quickly and have everything we needed to scale our business." "With Shippo automating the shipping process, we’ve been able to accelerate our growth and serve our members with a frictionless experience."